You will purchase all goods that you require from two stores: one blue and yellow one located in vast out of town warehouses outside each city where you will eat meatballs and buy cheap goods that you will assemble yourself; the other will be on the network and named after a mythical place. All foods will be laced with pesticides and additives. If you want un-drugged foods you will pay a premium for this in ‘markets’ and specialist stores. The natural world will be re-played to you via sounds in large shops and in inspiring television shows led by an elderly man. You will become so divorced from the natural world that every year when it ‘snows’ you will be surprised. Winter will be a surprise. Spring is good but summer is best. We will buy so many goods that we don’t need that we will destroy the environment. We will be told that in order to stop this happening we need to buy more goods. We will accept this completely. As climate change increases you will watch bulletins celebrating the very hottest day. The hotter the better. When species become extinct you will be sad, but not for very long. The world will love ‘celebrities’ who will be very famous and very wealthy. 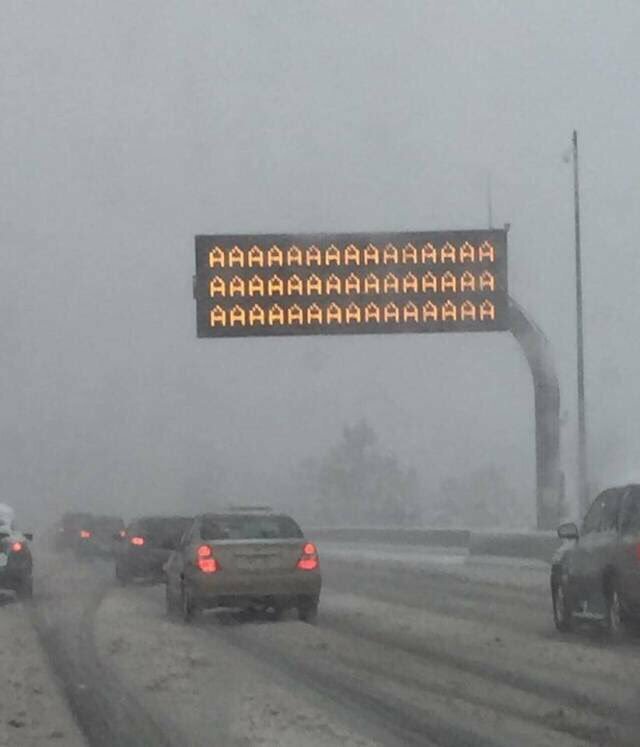 When they die everyone will be very sad and will write about what affect they had on their lives and share it on the network. Everyone will agree that it is very sad. It will be very cheap to fly anywhere in the world at any time. The reason it is so cheap is that when you get there it will be very like where you have come from. You will not realise this and will buy perfume when you return home. Information will be shared by printed pages owned and distributed by a handful of very wealthy men. They will have information about politics on the front and information about men kicking a ball on the back. You will be connected to a global ‘network’ which will monitor your activities, provide you with leisure, sexual stimulation and steer your political actions. This will be provided for free. You will at all times hold a device which will give you ‘notifications’ from the network. It will bleep and ping when you are to take notice. You will be provided with several platforms to express your views and chatter with others. This will be the last thing you do a night and the first thing you do in the morning. Your children will also be attached to the network where they will be provided with games. You will drink a liquid drug that will give you a feeling of euphoria and depression. You will self-administer this daily. You will be so unsure of what is happening that will take photos of yourself constantly and send them to other people who you don’t know. You will think this is normal. There will be permanently active war-zones across the world at any one time. Private companies will be sanctioned to create weaponry to sustain these wars. This warfare will be conducted remotely via unmanned machines that will identify targets from their phone numbers. People fleeing these areas will be called ‘Refugees’ and housed in camps. Many of them will drown at sea but if they don’t they will be treated with contempt in the countries where they arrive. Your political leaders will be so absurd that you will want nothing to do with the process. When they meet each other they will plant trees. We will re-elect the tree-planters every few years. Hyper economic inequality will be considered normal. The poorest people will buy magazines and watch the network with programmes about the lives of the very wealthiest. The very poorest people will get food left out for them in church halls. You will do all of this without question. It was a least a bit funny, once. 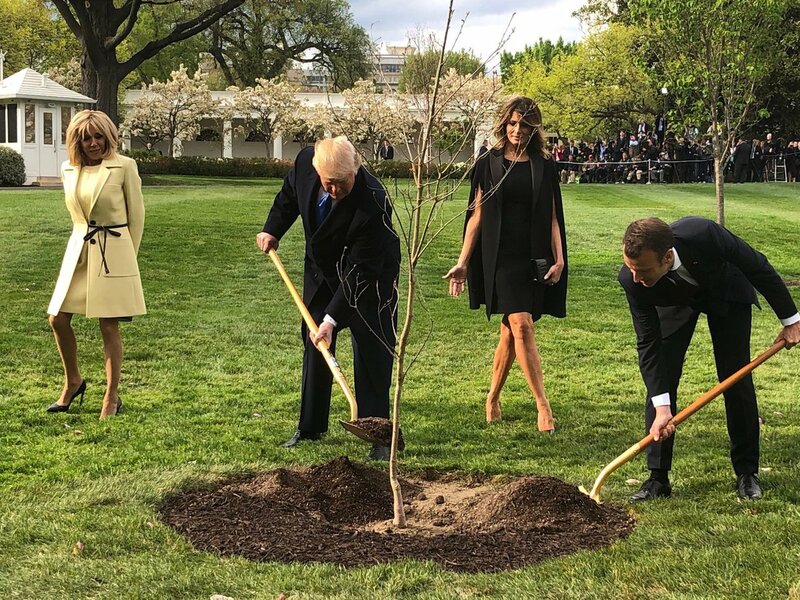 Apparently the Macron/Trump tree has now disappeared! Who would have thought it wasn’t for real?! If you don’t like capitalism you are perfectly free to emigrate to a socialist utopia e.g. Venezuela, Greece, Zimbabwe, North Korea. Thanks Matt. Greece is nice. Venezuela was ok until the Americans started punishing them for nationalising their oil. But, seriously, how about a bit of benign Scandinavian capitalism instead of the brash Anglophone version which enslaves workers and enriches directors and idle shareholders. If you earn the average UK full time salary of £28K, your annual tax bill would increase by £1,000 if we were to adopt the Swedish tax system. Because of course there are only two possible types of society. They won’t be called war-zones though: the Government-sponsored state media always refers to them as “Conflicts”. The word “War” is deemed too confronting for us, and we might start to wonder if we will be next. We’re happy with “Conflicts” – they sound a bit like playground scrapping and that’s usually over very quickly, with only a few tears and perhaps a grazed knee.